Most of our lives happen online today. We search for things, get advice, offer or buy things, pay, order, talk, share… The advantages lie at hand: you don’t have to leave the house to buy something anymore. Everything is accessible from anywhere as long as you have access to the internet. The downsides are evident as well, and we will neither discuss them nor raise the moral finger. Instead, we will show you how you can see what Google knows about you! To properly view what Google knows about you, of course you have to log into your Google account. When you use Google for your internet search, of course they save your search history. Depending on your browser settings, the link above will lead you to your search history. Google has an idea about your interests. This is important for them to display ads that cater to your interests and likes. Find out what Google thinks you like by checking (and editing) your Google Ads setting. Many pages and websites use Google Analytics to gather information about their users and visitors. If you don’t wish your information to be referred to them, you can opt out by following the link above. That way, other websites won’t be able to collect data about you using Google Analytics. Under this link, you can see where you logged in using your Google account. When you have an Android phone, it may be that your phone sends your current location to Google. Under the above link, you can view this log. The Google Dashboard lists all Google services you are using like AdWords, Blogger, Gmail, Photos, YouTube and more. Furthermore, you can request a monthly report about your account activity there. You log in to external services using your Google account? Here you can get an overview of the services you use via your Google profile, and of course you can remove them from here as well and revoke access. Fear that your account might be used by someone else? Under the link above you can check which devices were used to log in using your Google account. 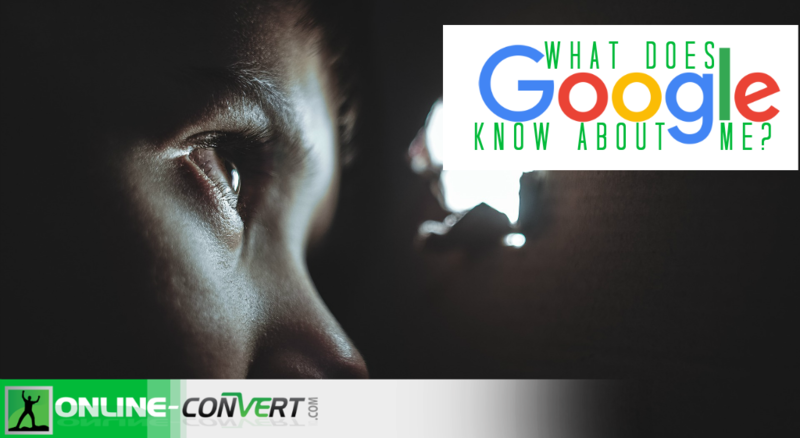 Don’t want to click through all those links to check what Google knows about you? Then export all your data. Bookmarks, contacts, files on Google Dive, photos, e-mails, notes – all you saved using your Google account can be exported to ZIP (or another archive format). Where Else Can Google Get Information About Me?